The Ferry Plaza Farmers Market began 25 years ago, when farmers and San Franciscans came together to reclaim the waterfront and create community through good food. One of the driving forces in this effort was Sibella Kraus, a founding member of the San Francisco Public Market Collaborative—the organization that started the market—and the founder of CUESA. Today, she continues her work to grow a resilient local food shed, as the founder and president of Sustainable Agriculture Education (SAGE), an organization dedicated to revitalizing agricultural places near cities. For the farmers market’s anniversary, Sibella shared some reflections on the last 25 years, along with hopes and visions for the future. Join us in toasting our founders, farmers, and growth of the good food movement at CUESA’s 25th Birthday Bash this Sunday. Bring food lovers together with local farmers in a lively market with a beautiful Bayfront setting just recently reconnected to the city after the demolition of the Embarcadero freeway. This was the proposition behind the Ferry Plaza Farmers Market that I co-founded with Tom Sargent, along with chef and farmer friends, in May 1993. For market devotees, buying beautiful and delicious fresh food directly from farmers and relaxing with friends and family over a market breakfast soon became a cherished Saturday morning routine that continues to this day. The conviviality of the market and the delights of the season—in May that could be delicate sweet peas, tender radishes, fragrant strawberries, glorious flowers, and so much more—are a sure way to return to one’s senses after the work week. While the market idea seemed simple, the backstory was more complex. Some of this story might be discerned from a single juicy, intensely flavored, golden apricot of early summer, harvested and handled with care, and from the face, hands, and words of the farmer who rose before dawn to get it to market. However, underlying the in-the-moment market experience are issues about sustainable agriculture, the local food movement, and resilient cities and regions that go back decades and deeply impact our future. This interplay of a down-to-earth tangible project and big-picture thinking really suited me as founding Executive Director of the sister organizations, the San Francisco Public Market Collaborative and Center for Urban Education about Sustainable Agriculture (CUESA). It also worked for me on a personal front. I had young children—my second son was born just a few months before the market launched in 1993—and nurturing the market and my family rolled together. I worked out of my home for the first few years, which had the additional convenience of providing room for my designer husband to fabricate all the main market signs. As I recounted in the introduction to the 2006 Ferry Plaza Farmers Market Cookbook, the market was always envisioned as a step toward creating a permanent public market on the San Francisco waterfront, ideally at the Ferry Building—a goal shared by ingredient-focused restaurateurs and forward-looking city planners. In 1993, there were only two farmers markets in the City—Alemany and Civic Center, both featuring diverse ethnic products and primarily serving lower-income populations—and only a handful in the Bay Area. Today, the 20+ markets in San Francisco and almost 200 markets in the Bay Area are located in downtowns, neighborhoods, suburbs, and even in front of hospitals. They provide fresh food, a sense of season and place, and direct-to-consumer sales that help support farmers’ bottom lines and community health, alike. Beyond the largely urban concerns, such as revitalizing cities and increasing access to fresh, affordable, culturally appropriate food, to which farmers markets were making some positive contributions, were the issues facing farmers, rural communities, and agriculture in general. Some of biggest of these—farm worker conditions, pesticide use, small farm viability, and farmland preservation—were trending in the negative direction in the 1990s. At the market, advocacy about these kinds of issues was mainly presented by allied organizations, such as Greenbelt Alliance, Pesticide Action Network, and the Community Alliance with Family Farmers, which regularly had information tables at the market. The public education programs that were intrinsic to CUESA’s mission and part of the market from the beginning were focused on hands-on activities highlighting farmers and directly engaging market shoppers and kids. Special events, like a Salsa Chili Festival, enlivened the market with music and seasonal activities; Shop with the Chef featured popular Bay Area cooks demonstrating recipes based on farmers’ products; and Market Kids Cooking gave children a chance to cook and learn about seasonal crops. After a few years, we expanded CUESA’s educational programs into the community. Kids Cooking organized very willing chefs to cook right in school classrooms in San Francisco and Oakland and took school groups on field trips to farms. The 1997 Garden in Every School conference, organized with Delaine Eastin and Alice Waters, helped launch the school garden movement. Open Garden Day, a map and annual self-guided tour, promoted almost 100 urban agriculture projects throughout the Bay Area. At one point, the growing importance of CUESA’s educational programs and partnerships with advocacy organizations prompted us to envision creating a facility in which the educational programs would become a permanent use and the farmers market would continue to be a temporary use. The farmers were initially a little leery about how they would manage in a permanent food market, but the great success of the Ferry Building Marketplace quickly brought them around. 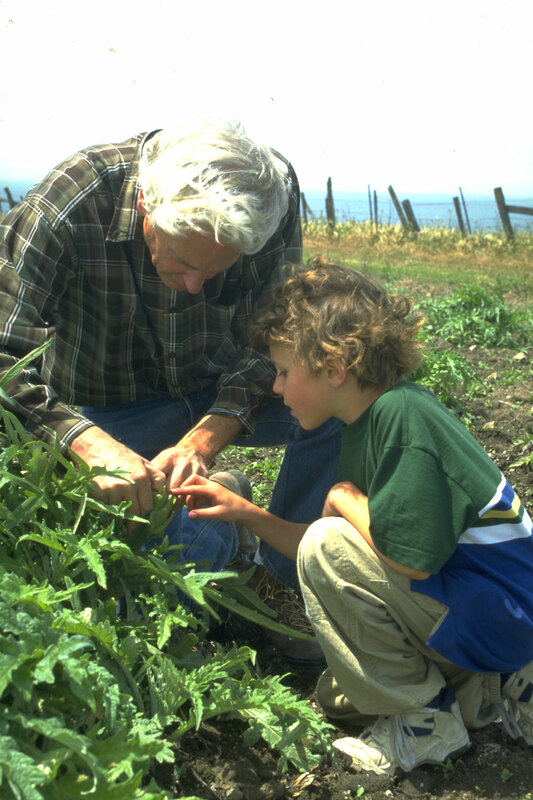 Fast forward from 2000 (when I left CUESA to found Sustainable Agriculture Education, known as SAGE) to today. The specifics of sustainable agriculture, healthy accessible food, and resilient cities issues have changed somewhat, but have become more urgent with the additional challenges of climate change, skyrocketing economic inequality, and increasing pressure on the built environment and natural resources. Thousands of businesses, advocacy organizations, and agencies across the region and state—including many in the food and ag sector—are responding with creative and collaborative approaches. These include CUESA, SPUR, CalCAN (California Climate and Ag Network), KitchenTown, Food System 6, and the State’s Sustainable Agriculture Lands Conservation Program and Healthy Soils Program, to name just a few. At SAGE, we’ve continued to develop collaborative on-the-ground projects and broader food system frameworks, all which have at their core linkages and partnerships between the rural and urban. At the project-scale, the 20-acre Sunol AgPark, which has been a model for affordable urban-edge land access for beginning and immigrant farmers and public education programs since 2006, is rooted in a partnership with the San Francisco Public Utilities Commission. SAGE’s Sustaining Agriculture and Conservation in the Coyote Valley study is one of many efforts of a broad set of partners who have been working for decades to permanently protect this 7,500-acre South Bay valley and revitalize it as a regionally significant farming and conservation resource area. SAGE is now deeply engaged in San Jose, working with city staff and community partners to implement recommendations from our San Jose Food Works assessment. In terms of the bigger-picture frameworks, SAGE is excited to be working with Association of Bay Area Governments (ABAG) to integrate the agriculture and food sector into the regional Economic Action Plan and pending regional Economic Development District. This work builds on the 2017 paper, Bay Area Food Economy: Existing Conditions and Strategies for Resilience, which SAGE co-authored with American Farmland Trust. The paper analyzes the extensive contributions of our region’s agriculture and food sector, such as nearly half a million jobs (13 percent of the regions’ workforce) and $113 billion in annual revenue. It also identifies vulnerabilities and opportunities, and recommends specific strategies and investments necessary to build on the food sector’s assets and address its challenges. SAGE is now working with key champions to begin to tackle several of these challenges: food and ag sector wages that are 64 percent lower than the Bay Area average annual wage for all other industries; drastic labor shortages in the sector; and unmet potential for greater public engagement in creating impactful, new urban-rural connections. We are establishing a Bay Area Agriculture and Food Economic Development program, with a working group as a first step, to act as a regional umbrella for these efforts. I was recently awarded a Wallace Center Regional Food Economies Fellowship, which will allow me to bring best practices from other regions to bear on ongoing work in the Bay Area. With our extraordinary agricultural resources, vibrant economy, progressive policies, and seemingly boundless talent, the Bay Area is poised to continue its food movement leadership—smart food cities and regions. No doubt CUESA will continue to be one of the organizations in the forefront. Congratulations to CUESA on its 25th Anniversary! Sibella with chef Alice Waters at an early Shop with the Chef demo. Sibella’s son Alejo, aged 7, looking at bugs with Jim Cochran on a field trip to Swanton Berry Farm. Alejo (also a climber) now tends his own bountiful garden as a diversion from his PhD studies in Sacramento-San Joaquin Delta restoration. 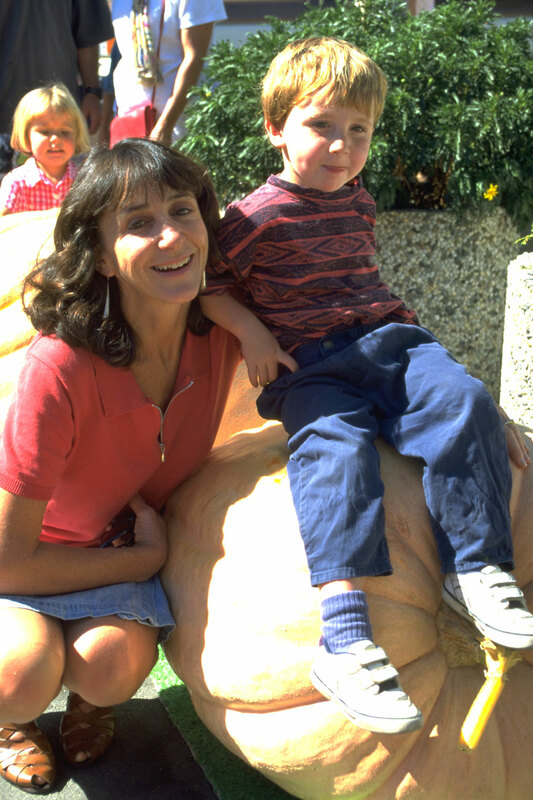 Sibella’s son Julian, aged 2 ½, with Sibella at the 1995 Harvest Festival. Julian now sends 5.14 rock climbing routes during breaks from his food policy work with Friends of the Earth. Group photo with farmers and founders at CUESA’s 20th anniversary party in 2013 (credit Drew Altizer Photography).